It's an economy booster! One third of the wage gains women have made since the 1960s are the result of birth control, says Cecile Richards, the president of Planned Parenthood. International Women’s Day is a perfect time to reflect on the status of women around the world and their health care in particular, since health and economic opportunity are inextricably linked. In many parts of the world, a woman’s access to health care is so limited that getting pregnant means risking her life. Often these women live long distances from health-care providers and lack adequate transportation to professional facilities. We know that expanding access to family planning services saves lives because it allows women to make decisions about when and how often they will give birth. In fact, we could reduce the number of pregnancy-related deaths by 79,000 worldwide if we provided services to everyone who needs them. The Obama administration has wisely focused on women in the context of foreign policy. Hillary Clinton put women and girls at the center of State Department priorities, a focus we hope and expect Secretary of State Kerry to continue to expand. Current U.S. funding for international family-planning programs provides birth control to more than 30 million people around the world. These services and supplies help to avert 9.4 million unintended pregnancies and 4 million abortions—the majority of which are unsafe—and prevent the deaths of 22,000 women each year. Birth control is a part of life in the United States: 99 percent of sexually active women in the United States have used it at some point in their lives. It wasn’t always like this. Before birth control became widely available, it wasn’t unheard of for women to have 12 or more children. In the decades after the pill was legalized, maternal deaths in childbirth declined by more than 52 percent. In addition, birth control provides improved economic prospects for women. It has given women more opportunity to get an education, join the workforce, and make decisions that strengthen their families and communities. Fully one third of the wage gains women have made since the 1960s, when the pill became widely available to American women, are the result of birth control. Access, however, is a different story. Incomprehensibly, many women in the U.S. lack access to health care. This is especially and historically true in the South. Some 51 of Mississippi’s 82 counties do not have an obstetrician-gynecologist, 33 of Louisiana’s 64 counties do not, and 32 of Alabama’s 67 counties do not. The consequences are staggering. Fifty-eight percent of all pregnancies in Louisiana are unintended, and the state ranks No. 1 in HIV incidence among people ages 13–24. In Alabama, infant mortality rates are the third highest in the nation. Mississippi has the highest rates of teen births and chlamydia in the country; unintended pregnancies in the state are more than 30 percent higher than the national average. Women who live in Louisiana or Mississippi are two to three times more likely to die from cervical cancer as women who live in Washington state or Colorado. We—health-care providers, legislators, activists—owe it to every woman living in the United States to ensure that she has access to high-quality, affordable health care no matter where she lives. It can be hard to imagine that women in this country would struggle to access basic health care, but it’s important that we face this fact so that we can address it. It only makes sense that all American women have the same access to women’s health care, including birth control. It benefits us all. 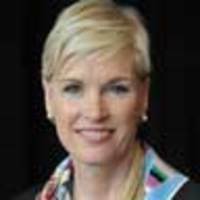 Cecile Richards has been the president of the Planned Parenthood Federation of America since early 2006.